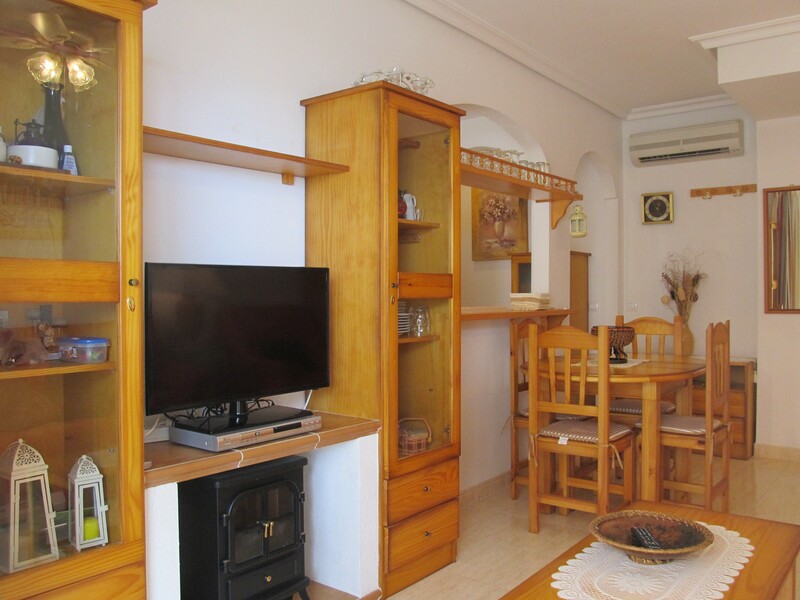 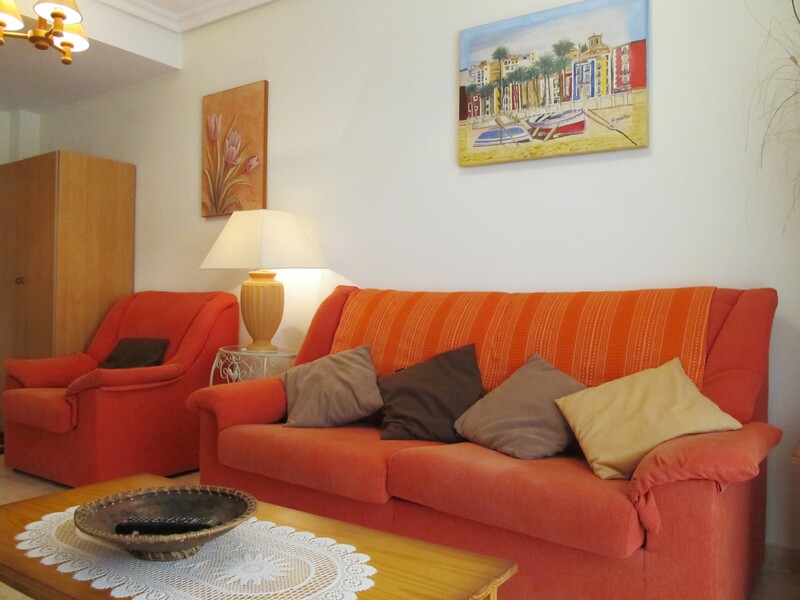 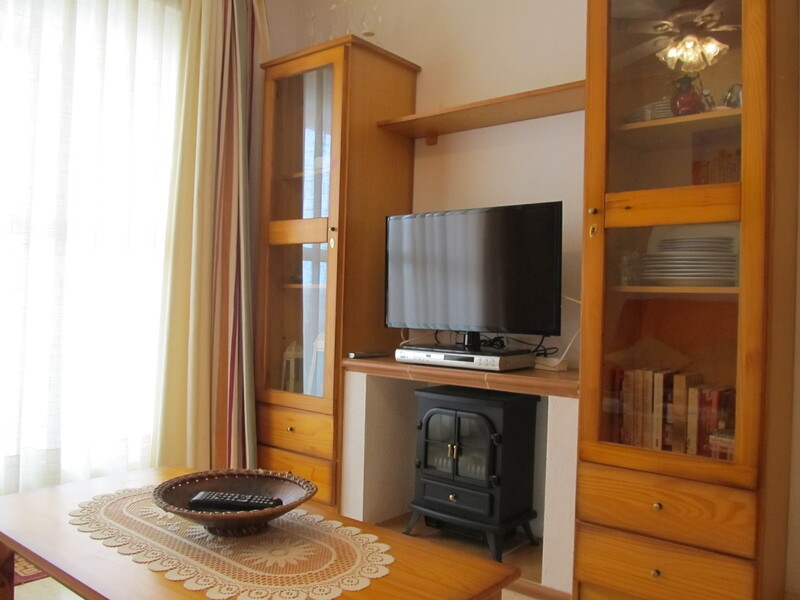 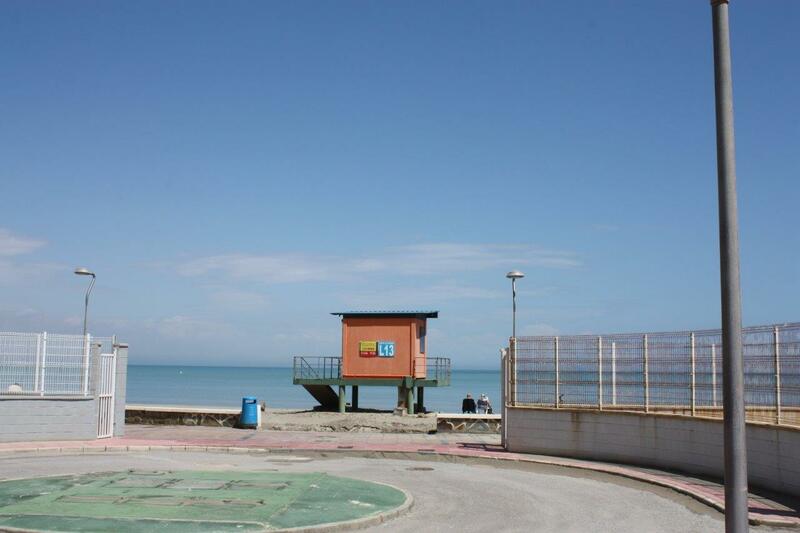 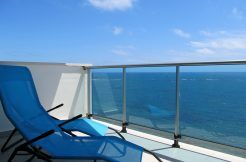 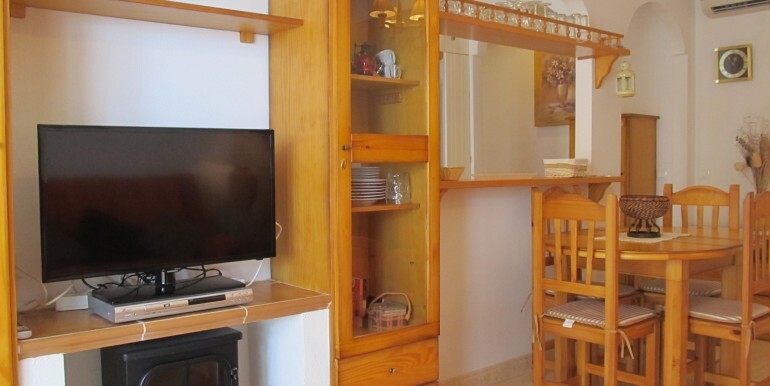 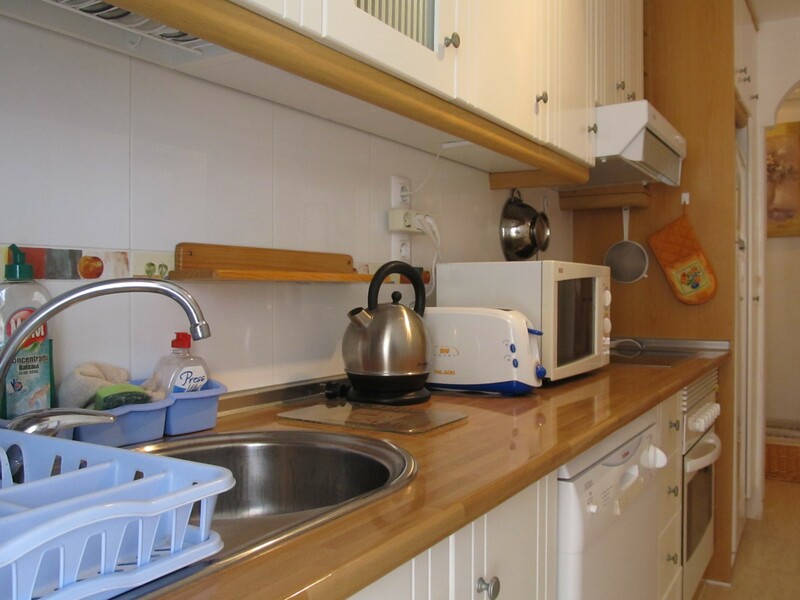 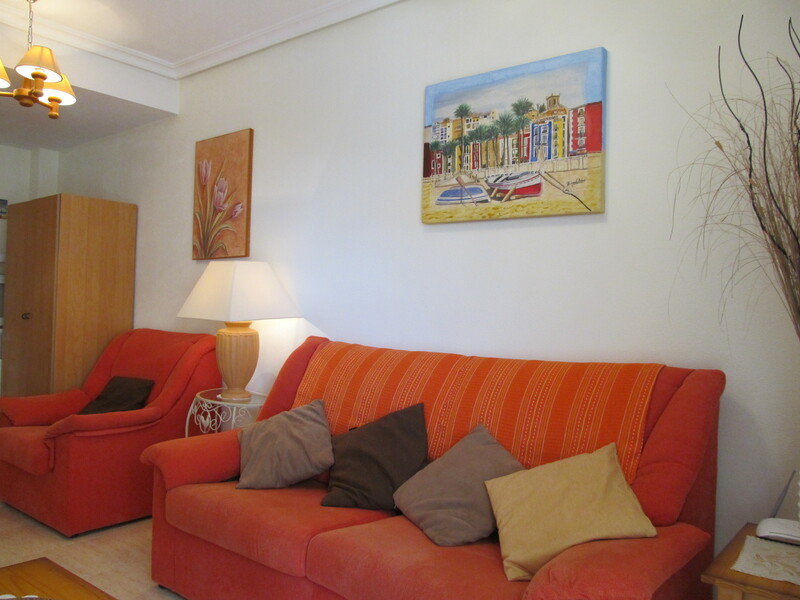 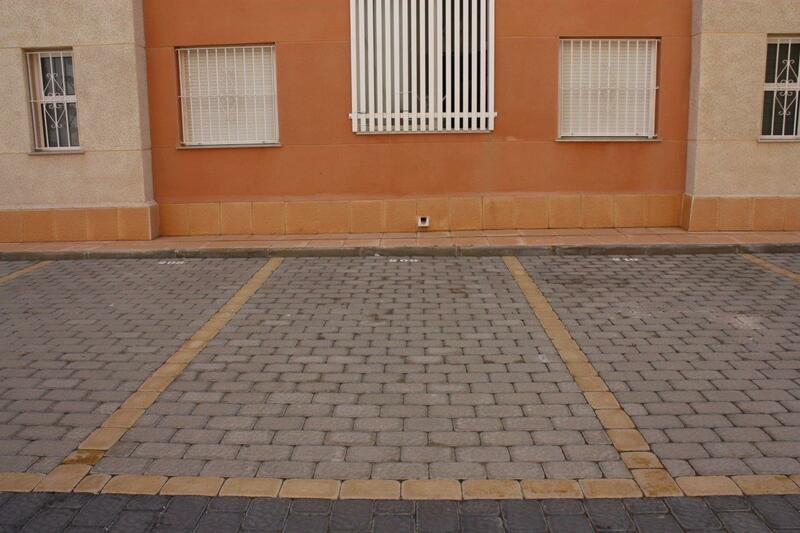 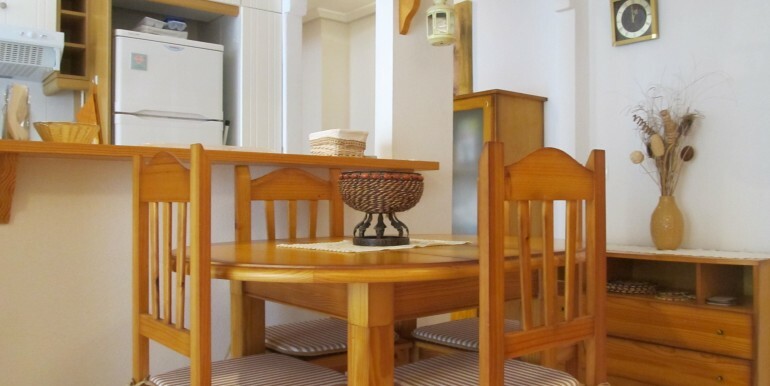 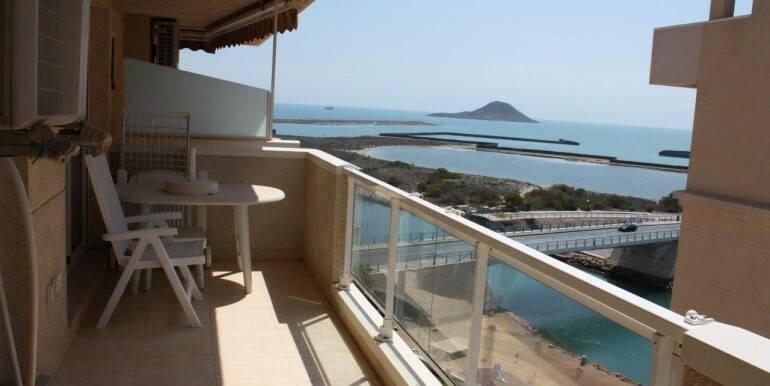 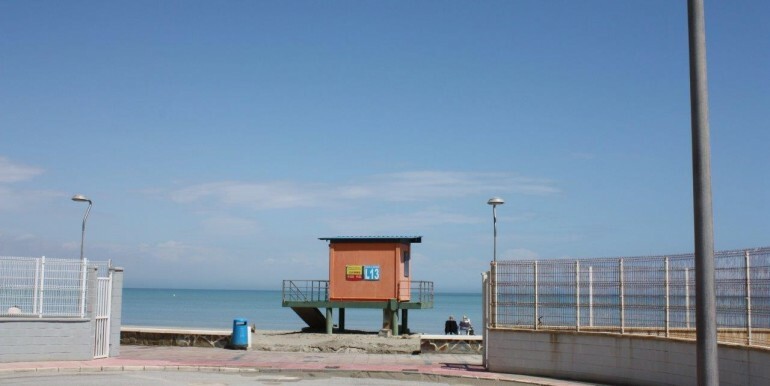 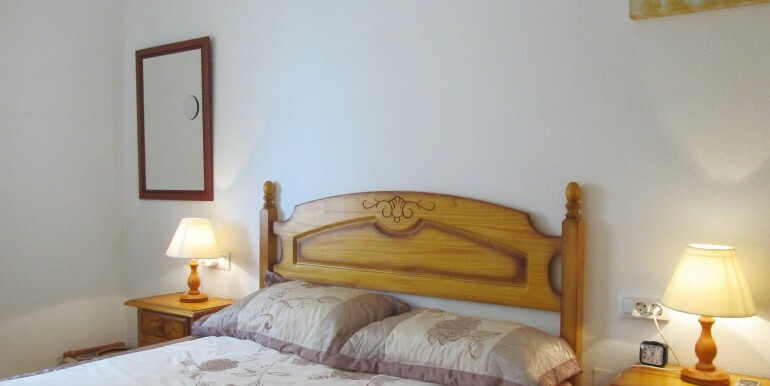 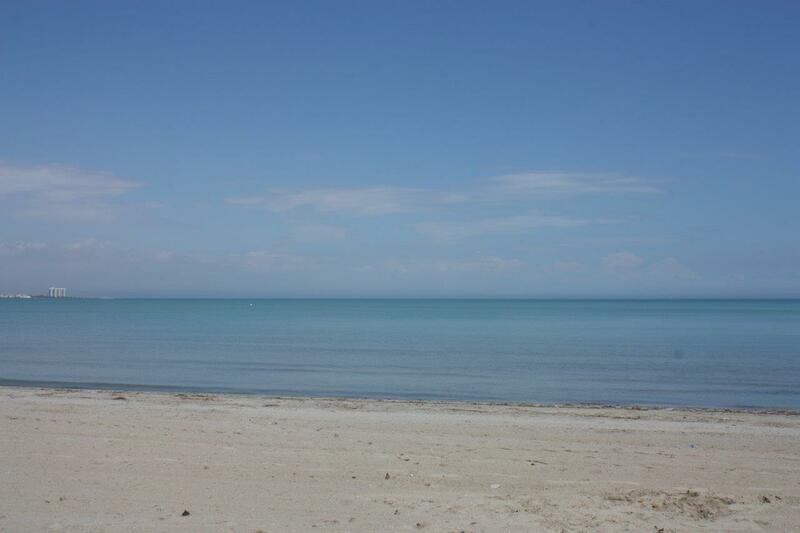 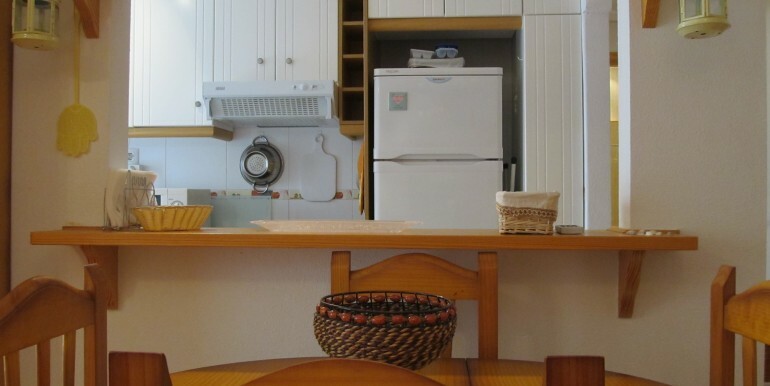 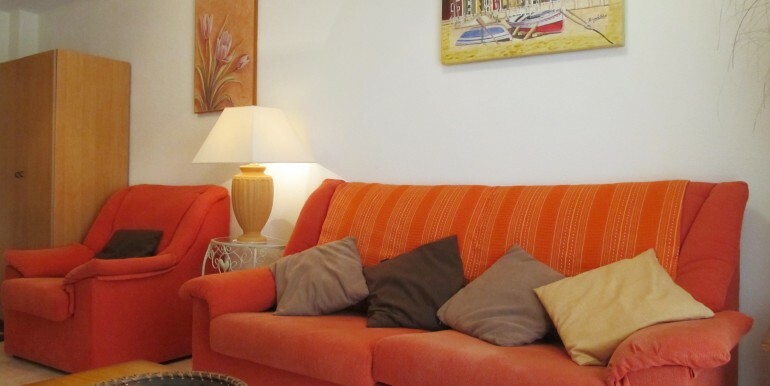 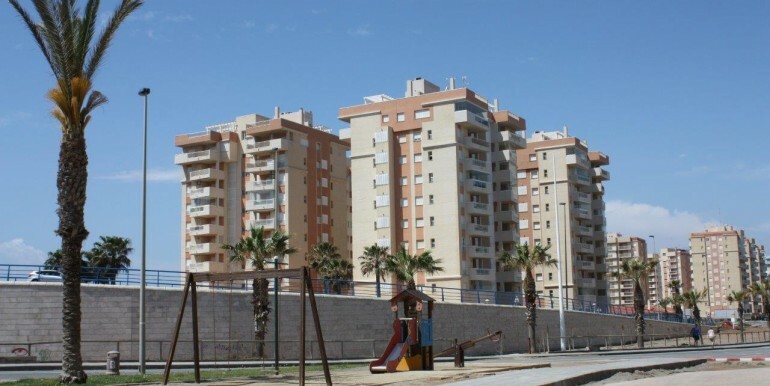 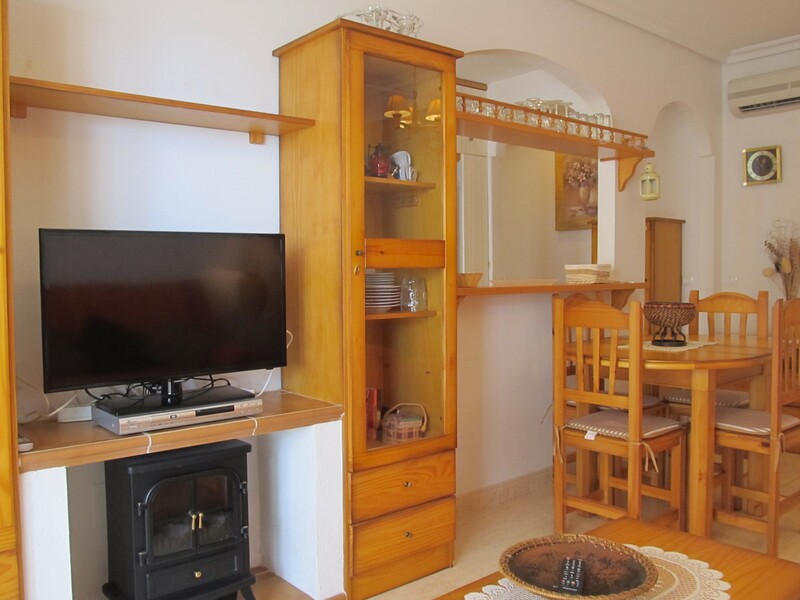 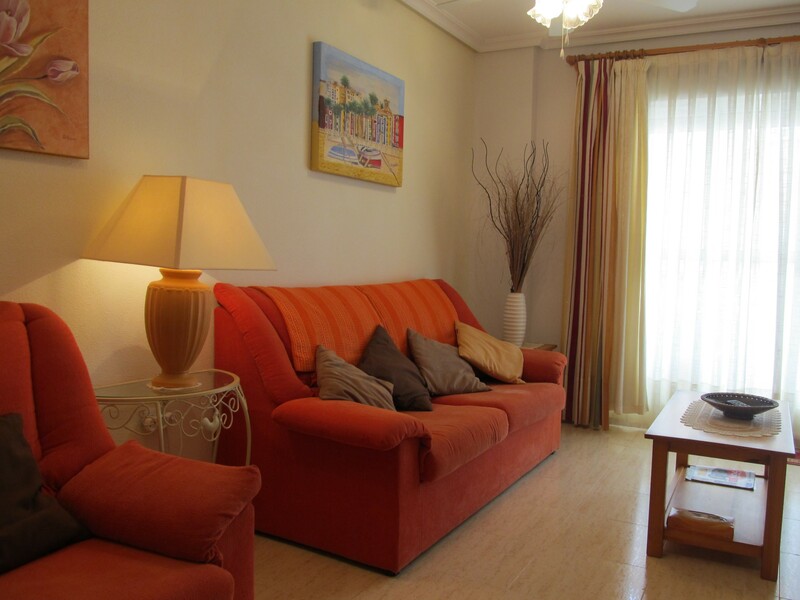 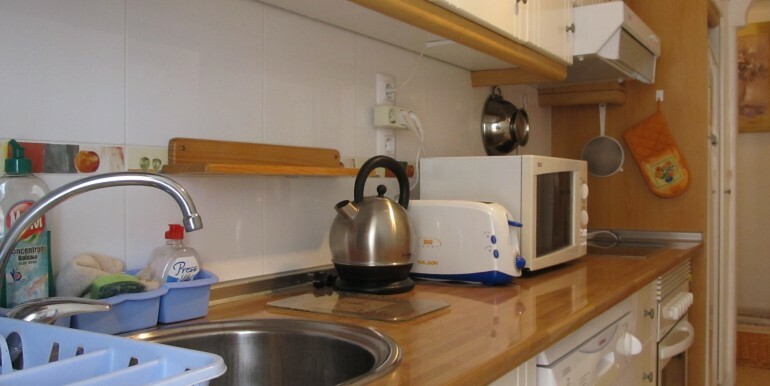 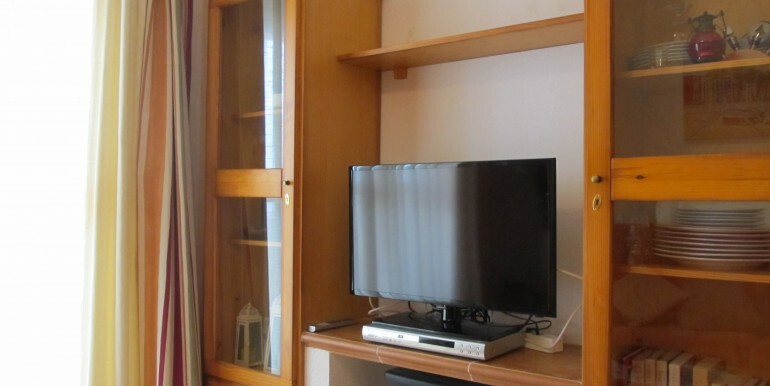 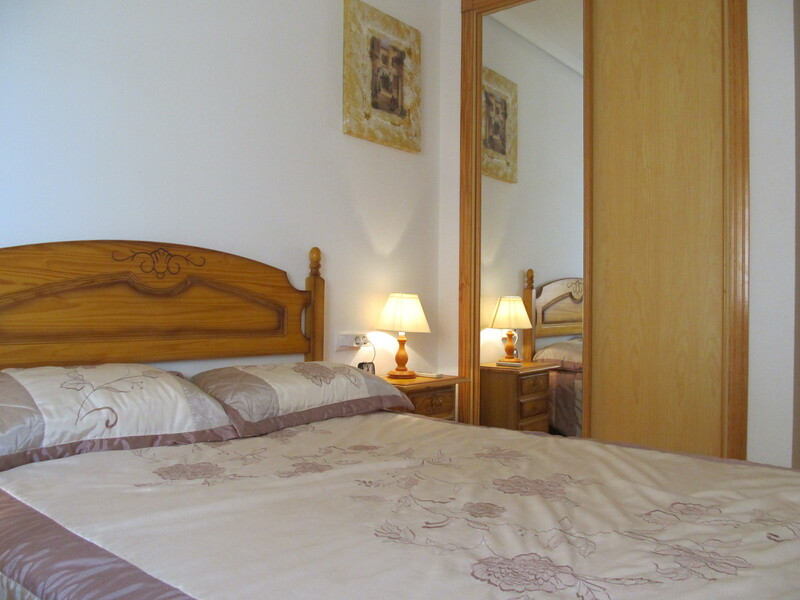 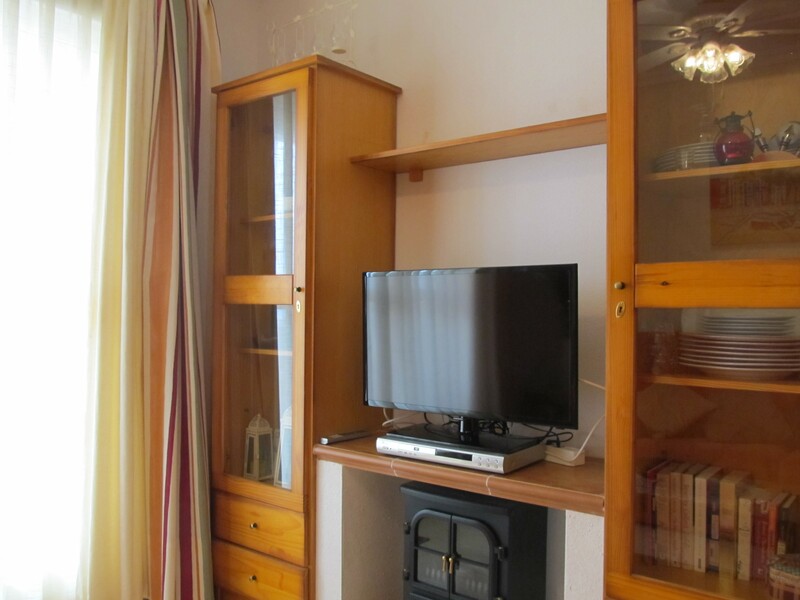 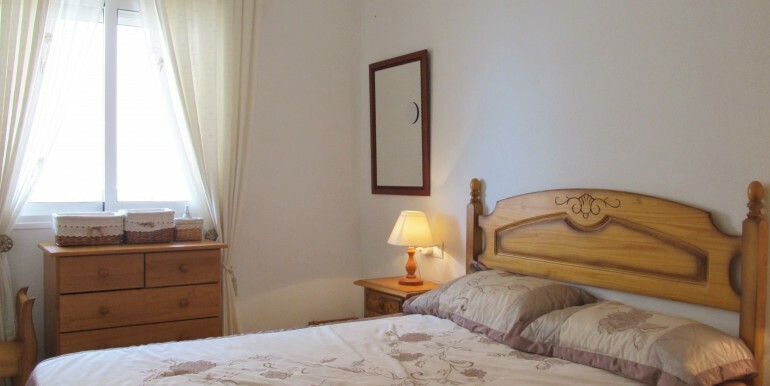 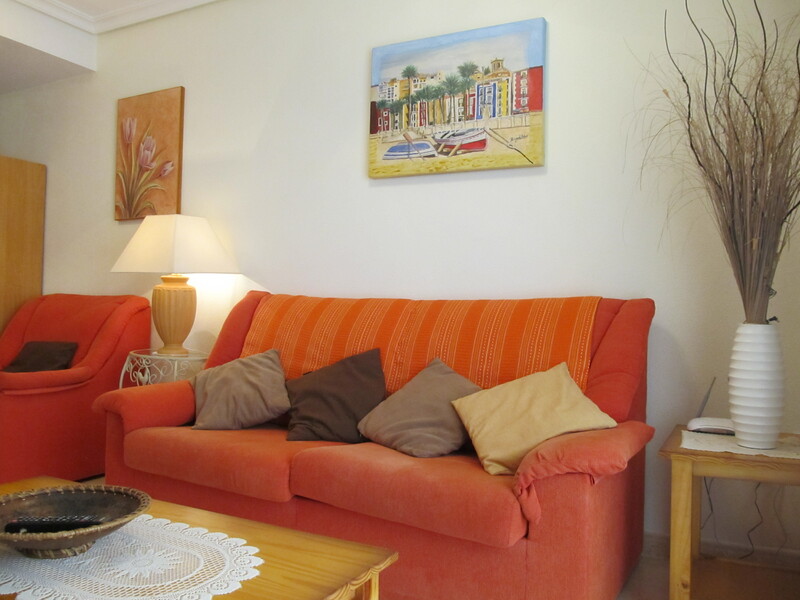 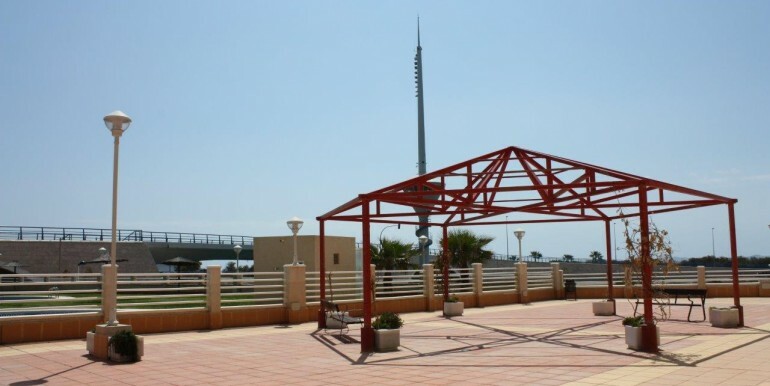 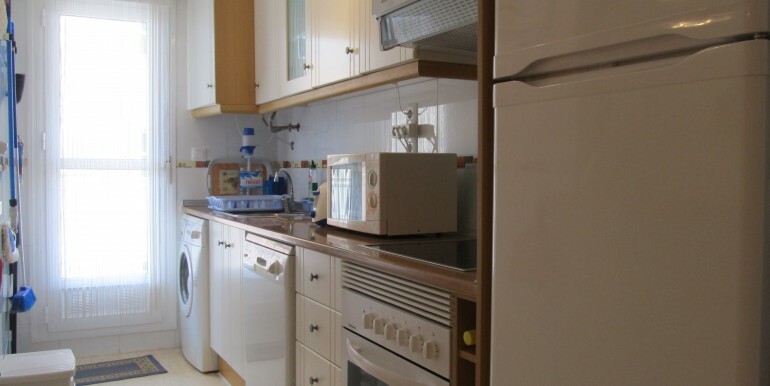 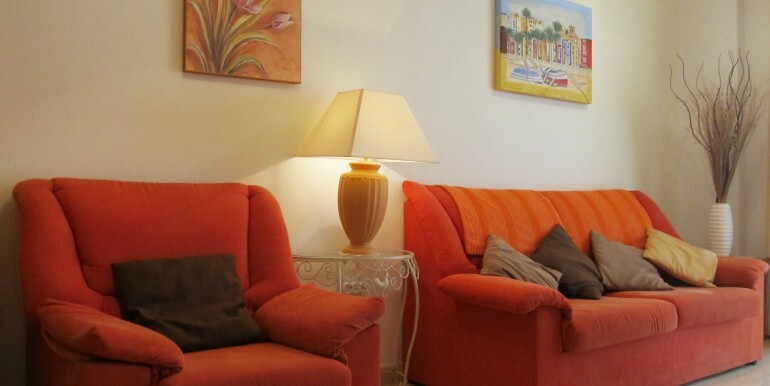 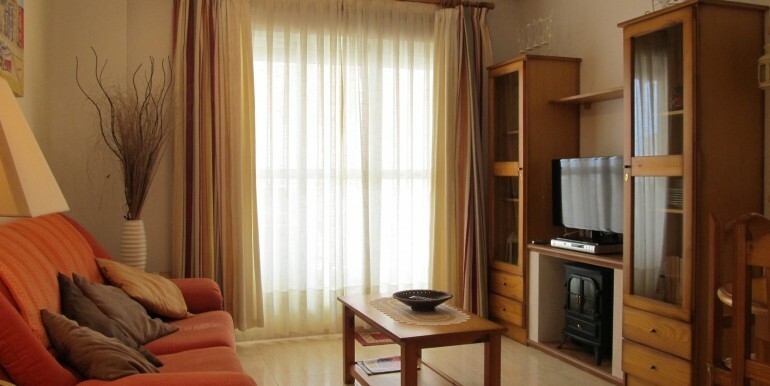 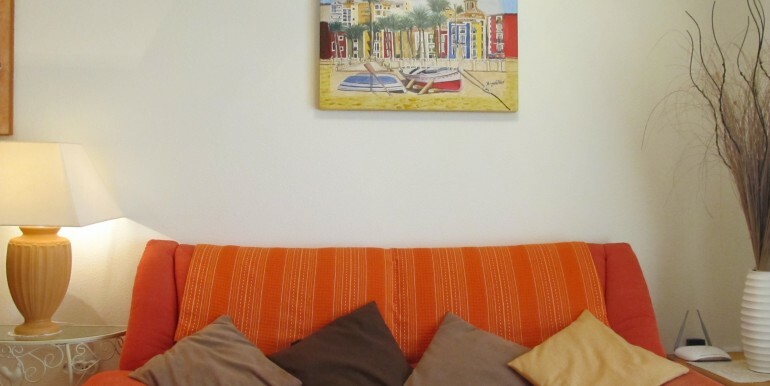 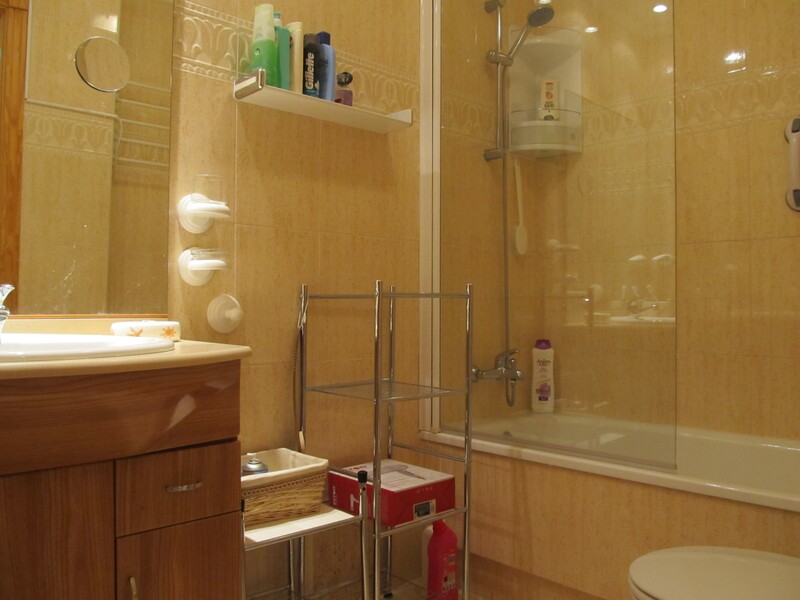 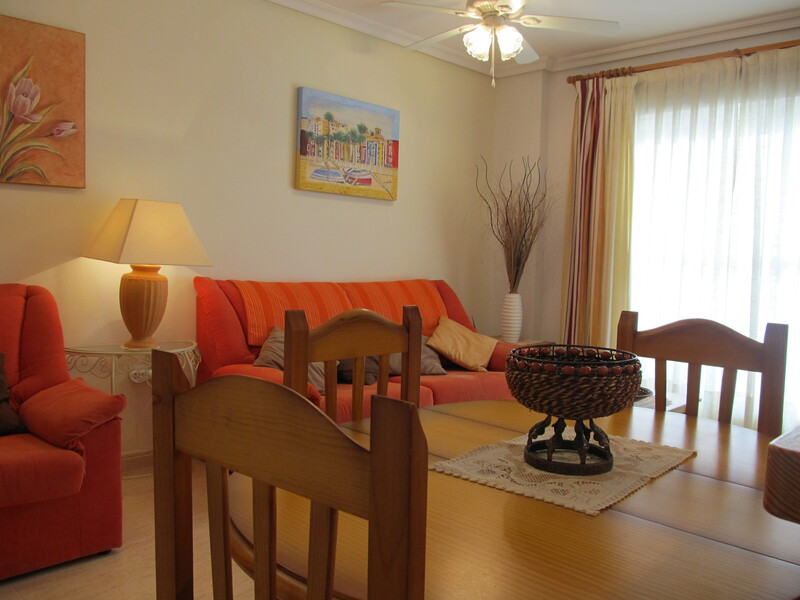 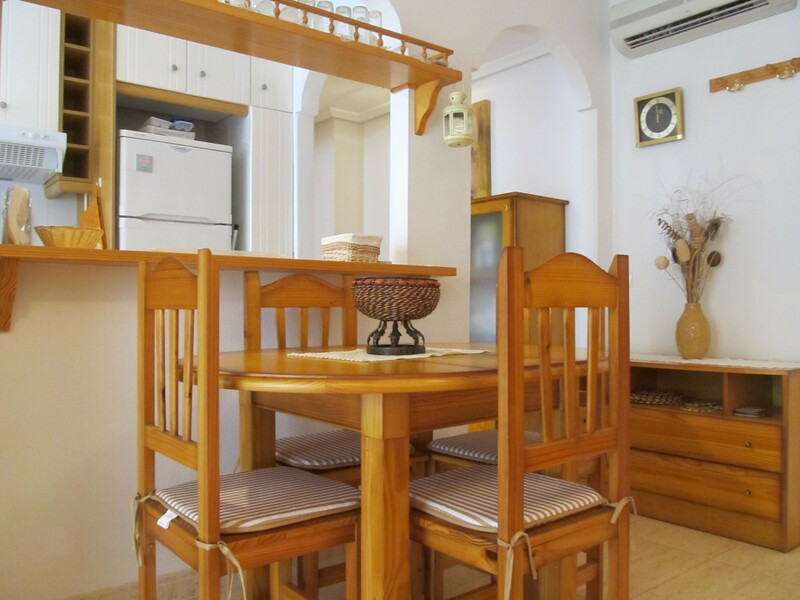 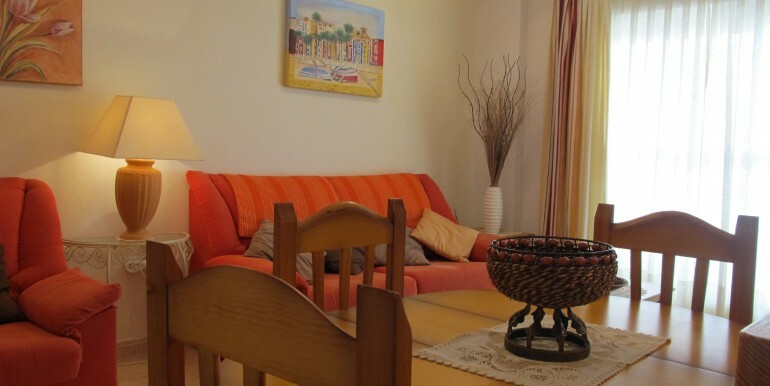 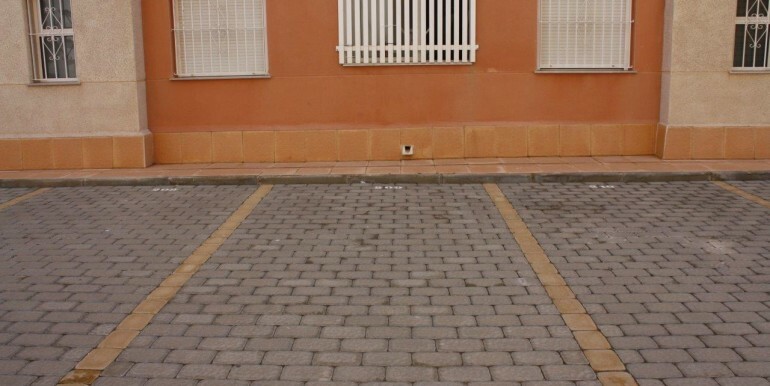 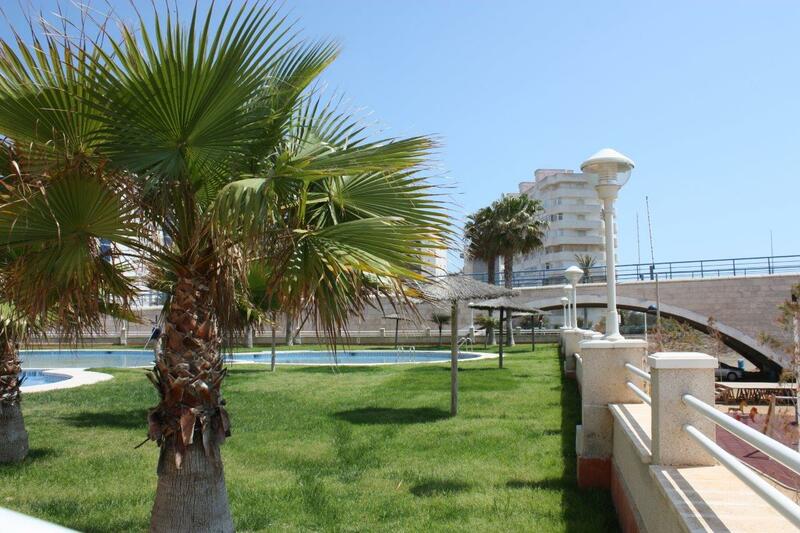 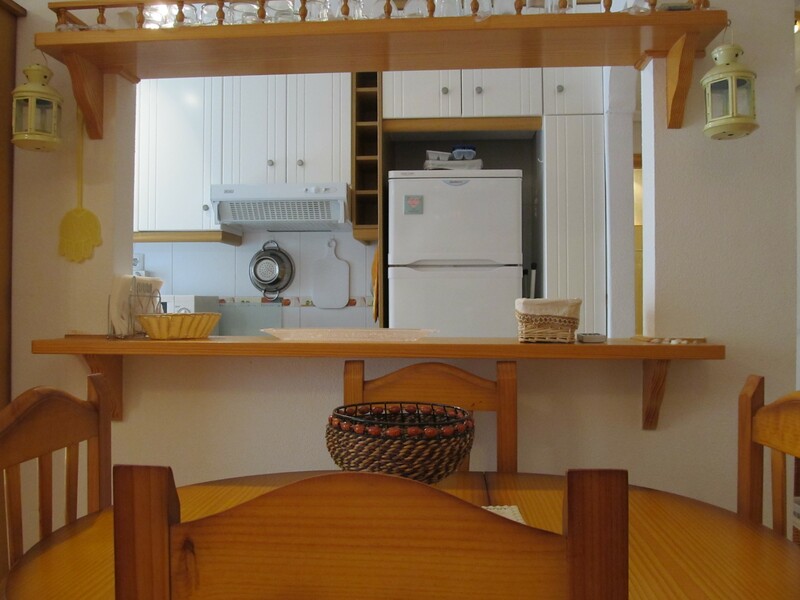 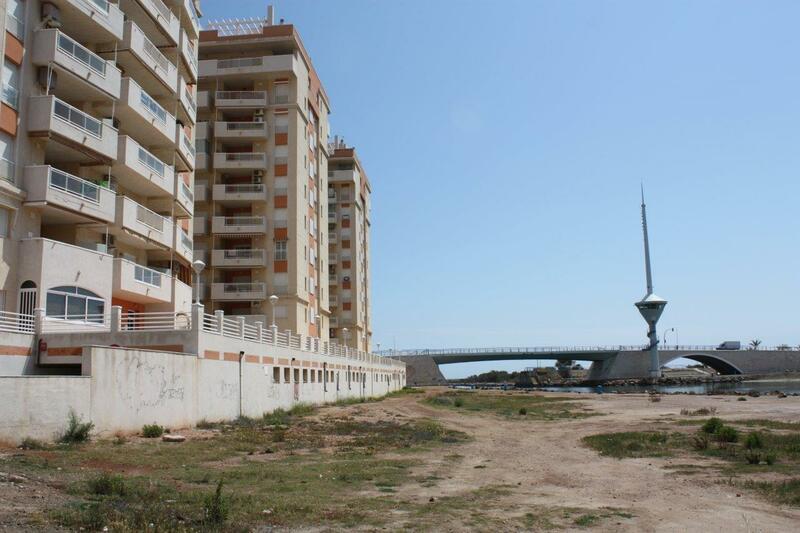 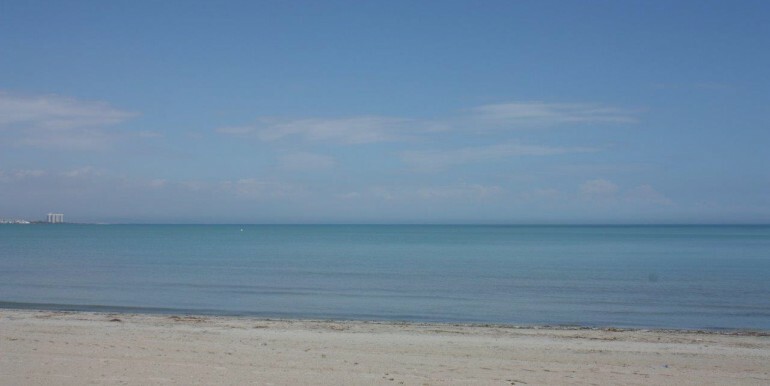 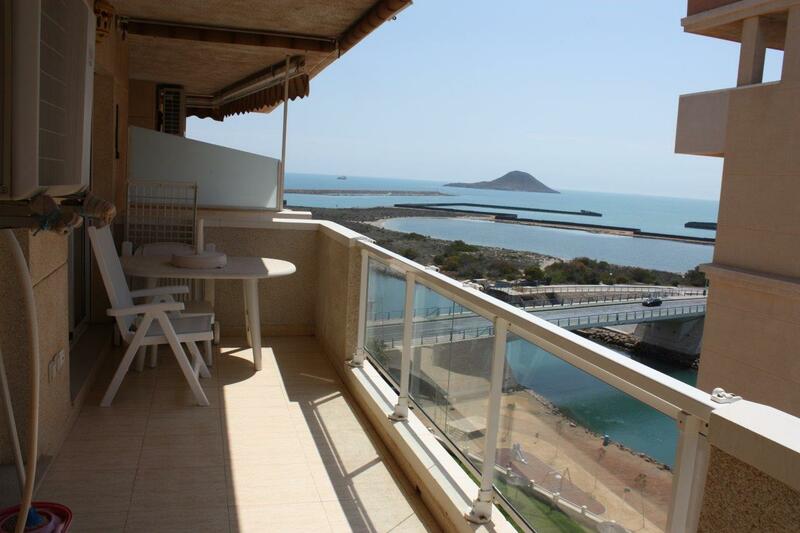 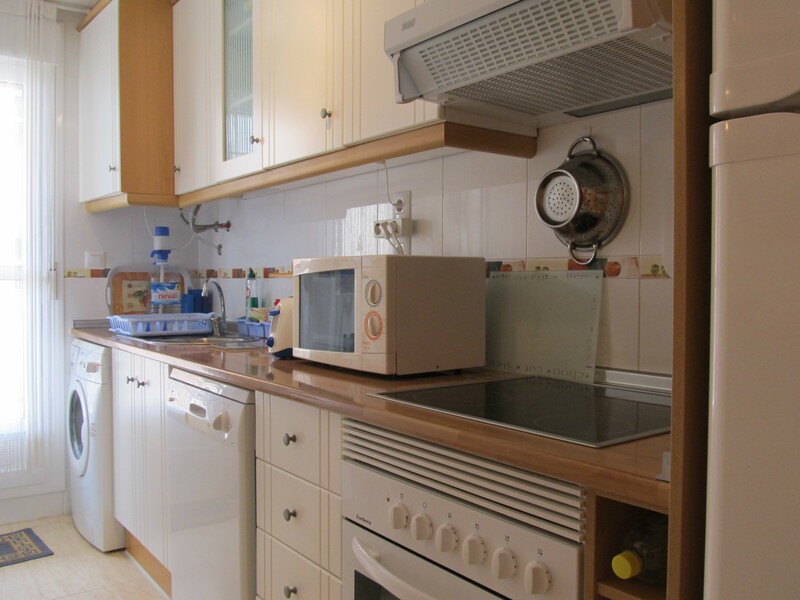 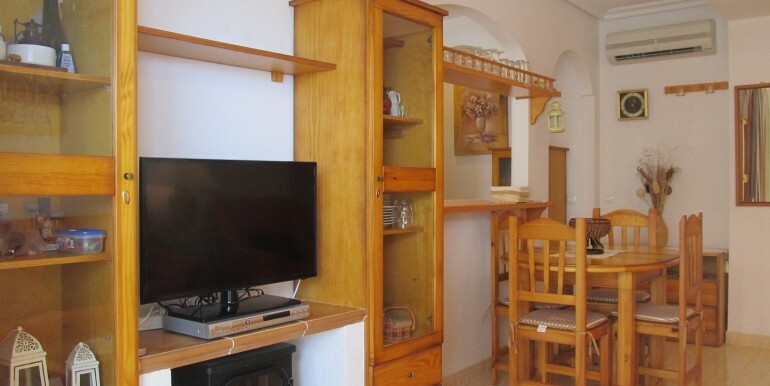 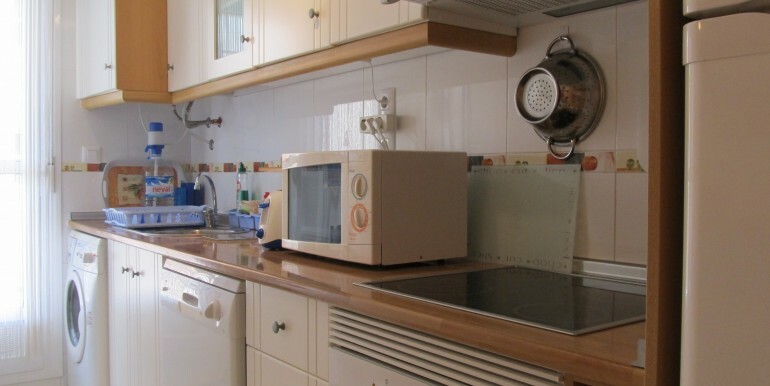 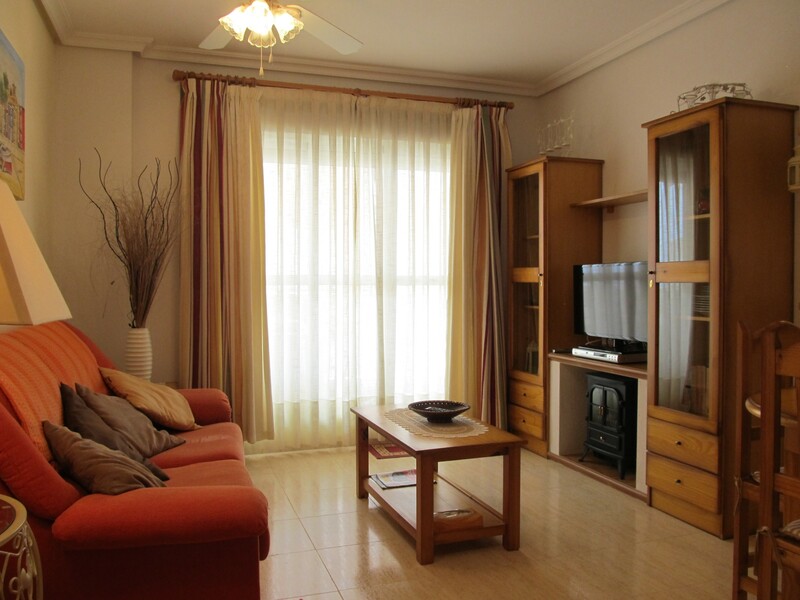 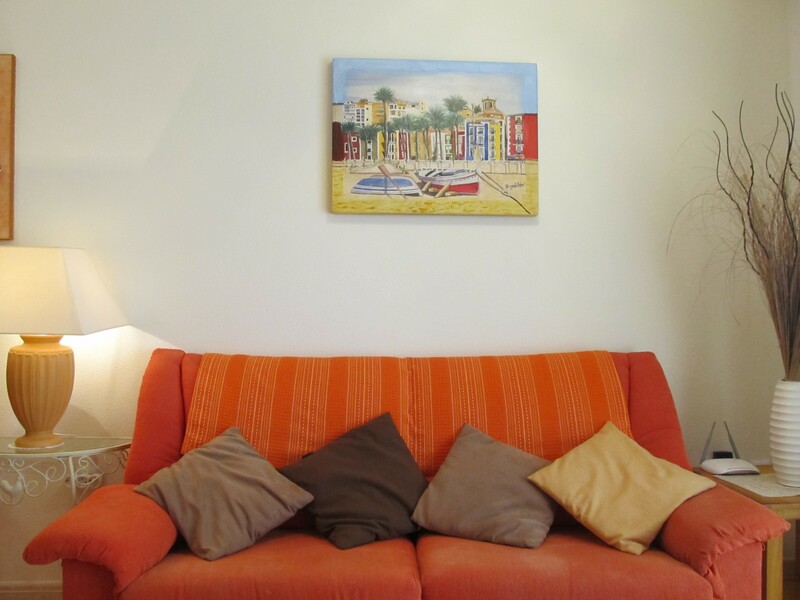 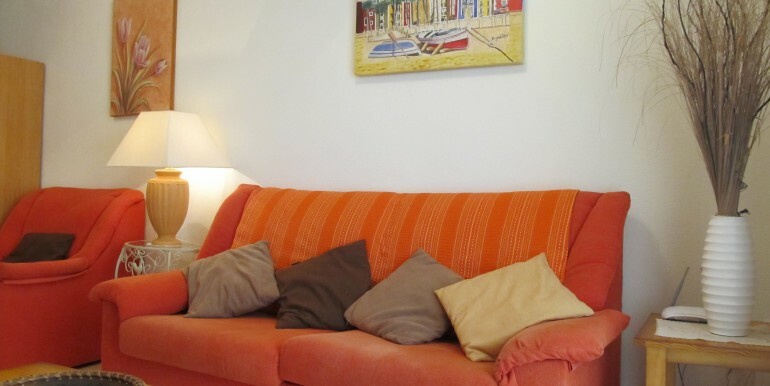 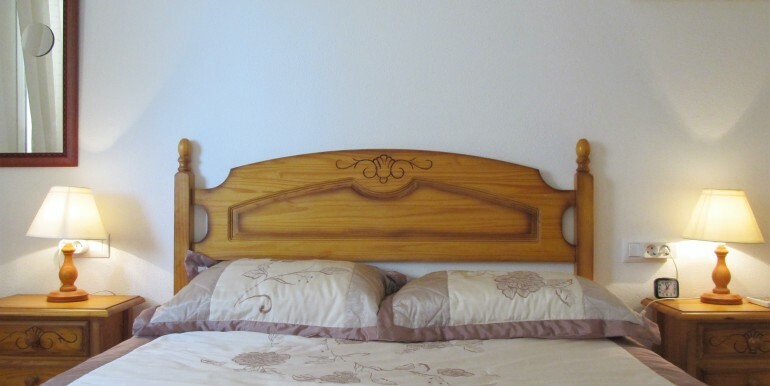 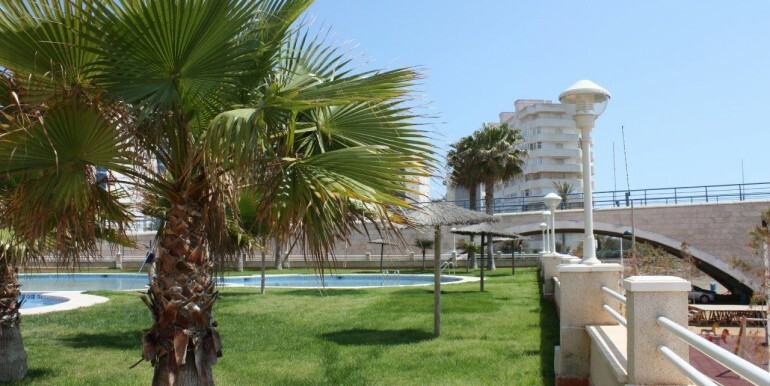 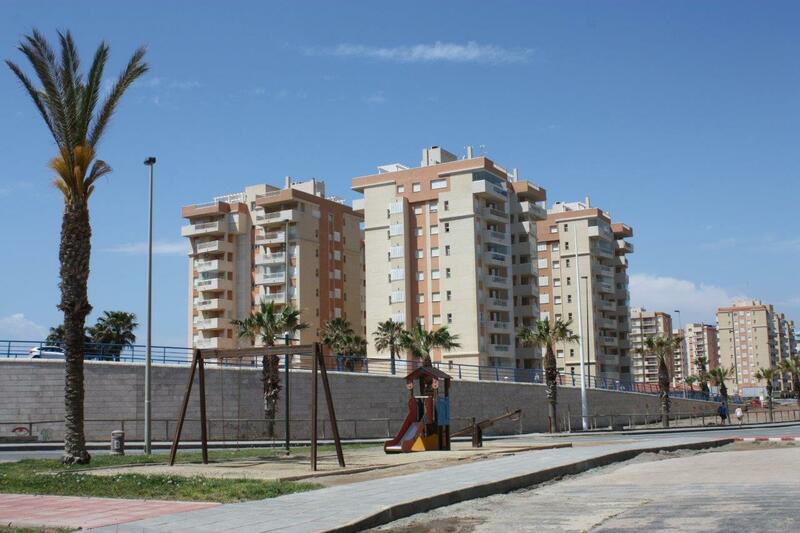 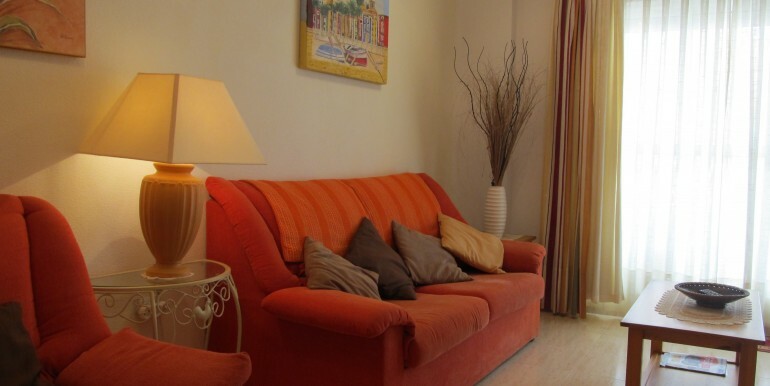 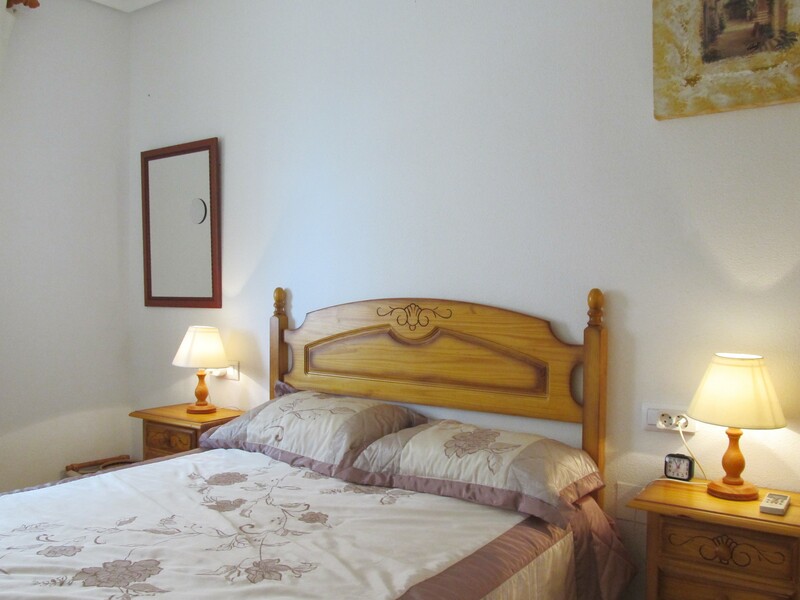 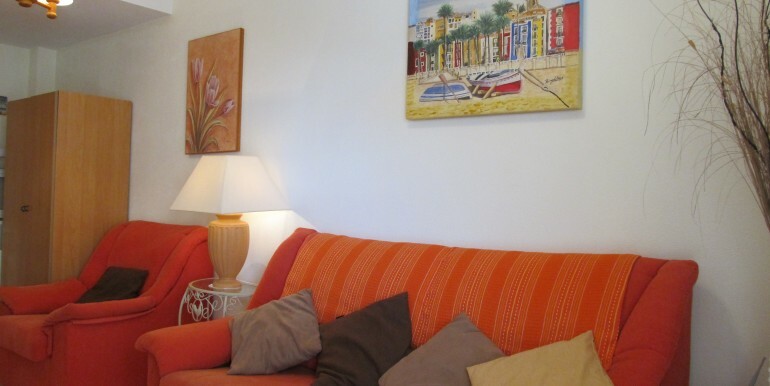 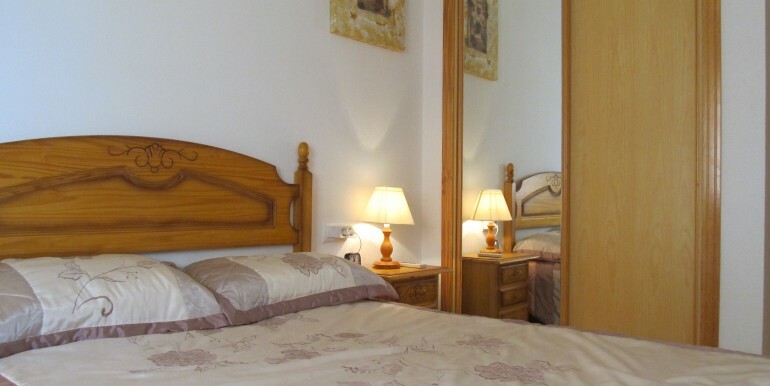 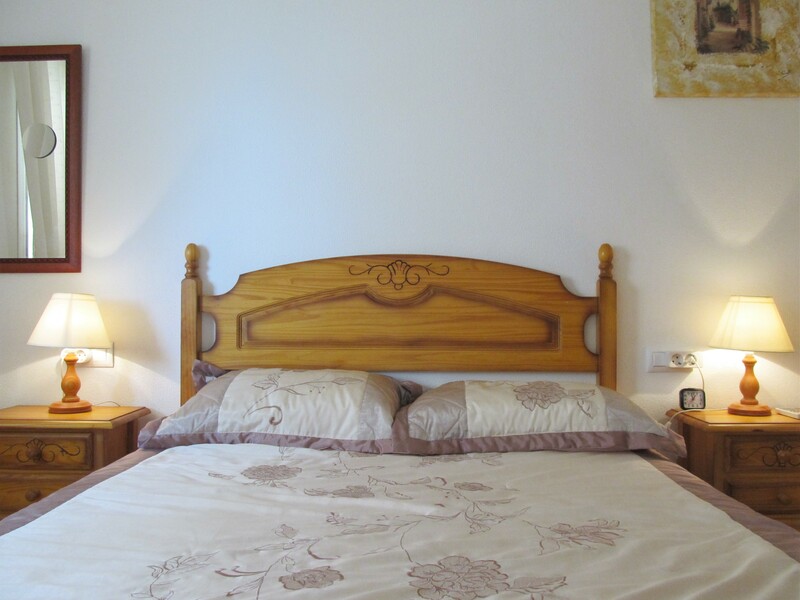 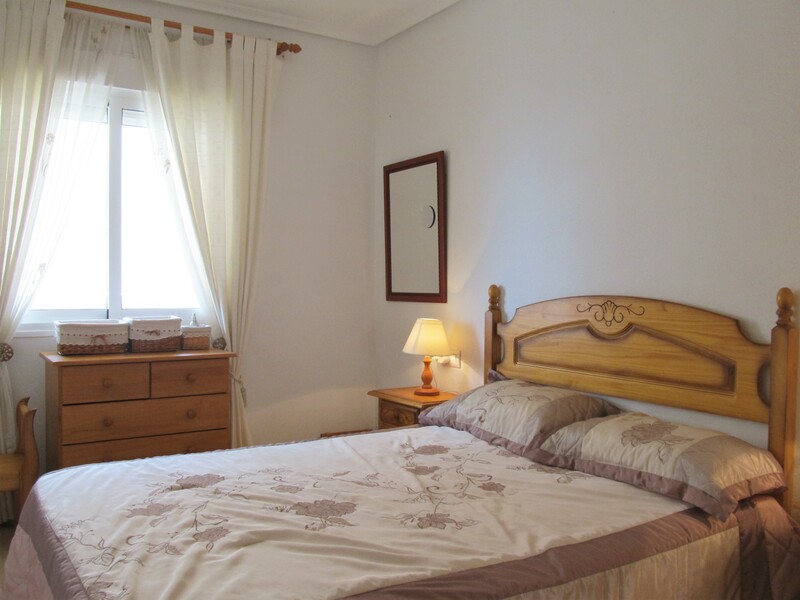 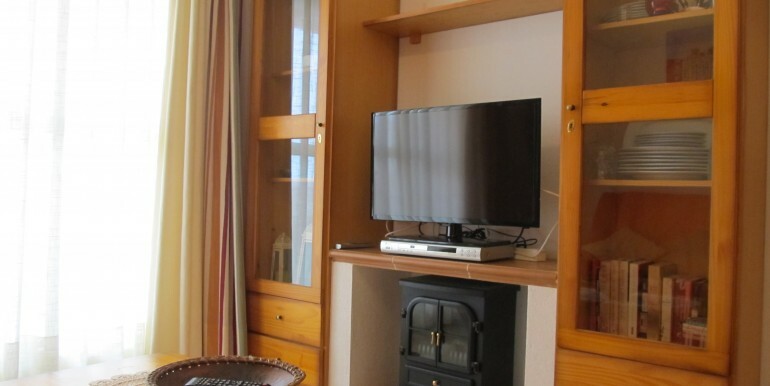 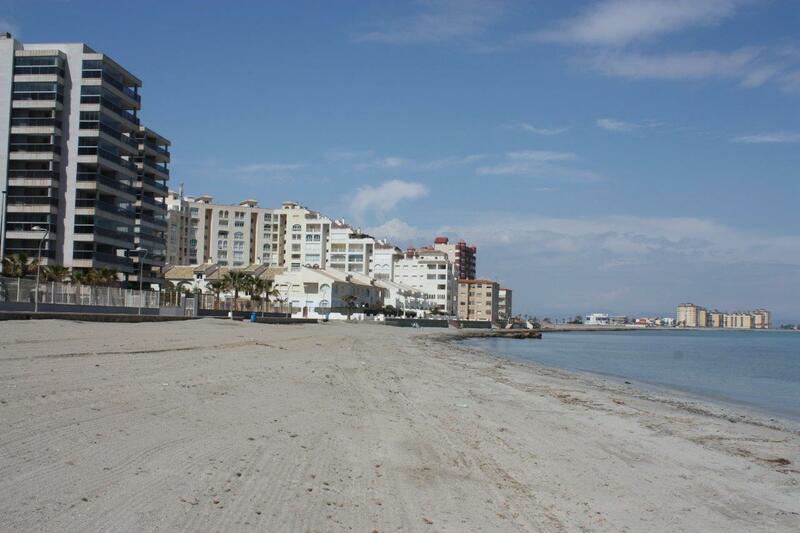 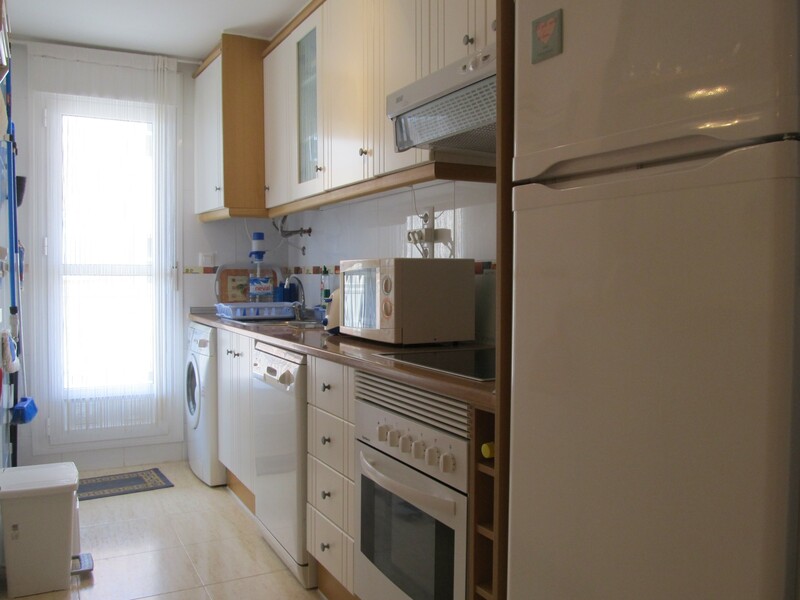 Cosy one bedroom apartment with wifi and lovely views in the Estacio area. 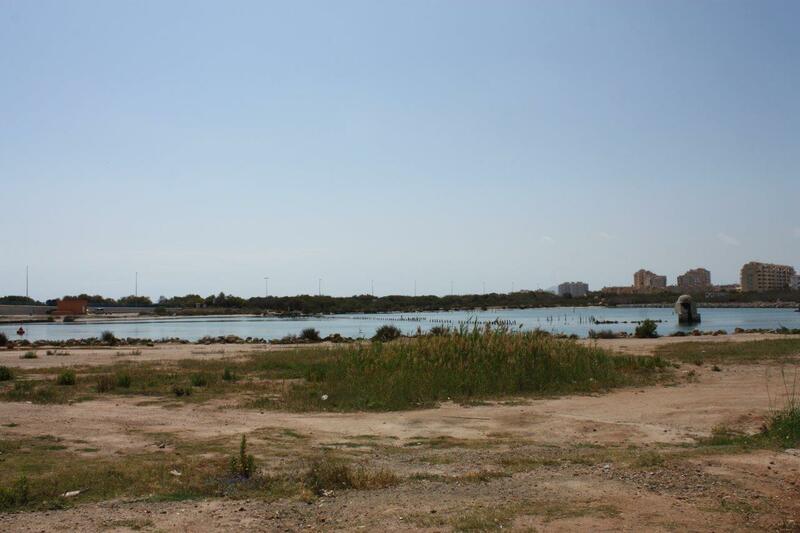 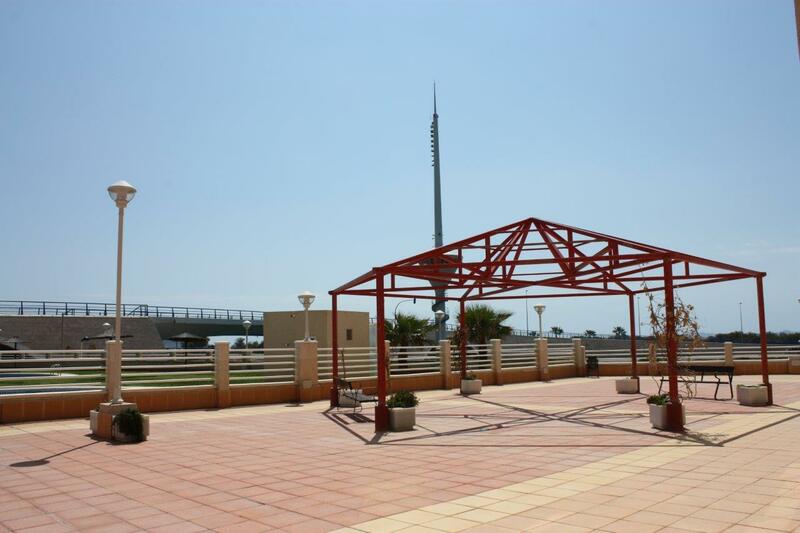 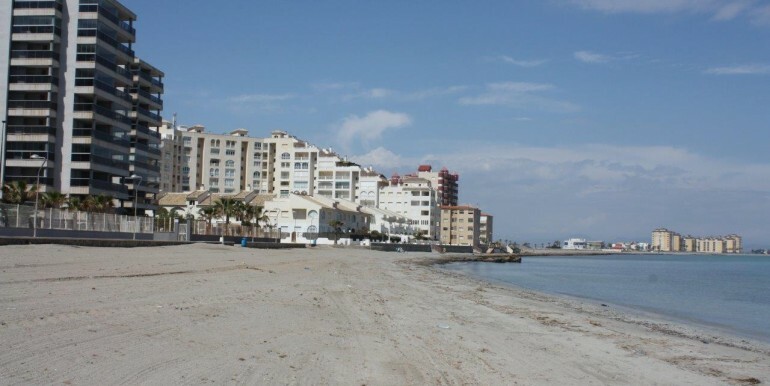 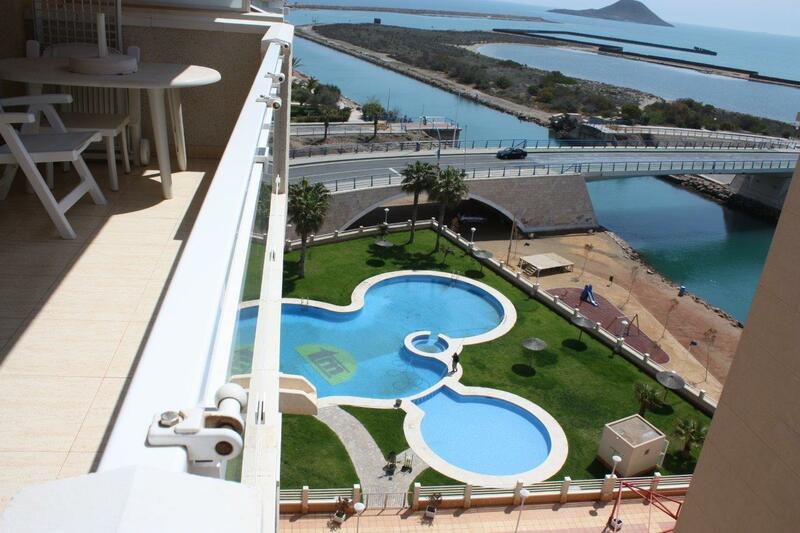 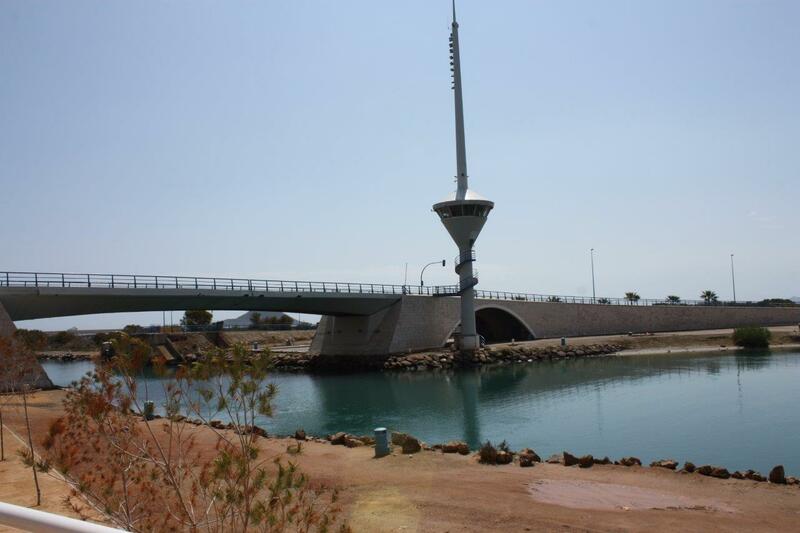 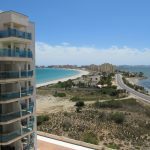 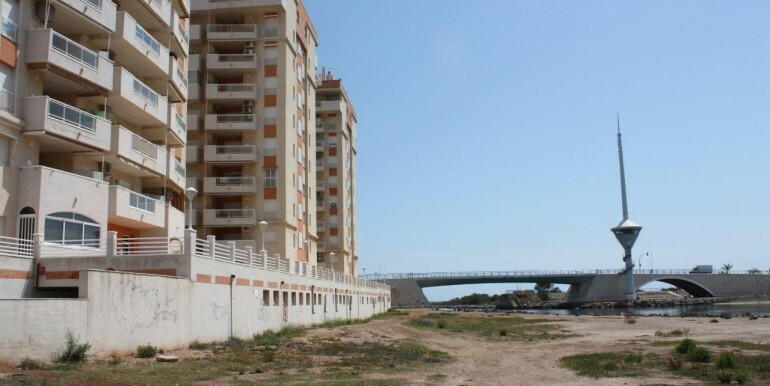 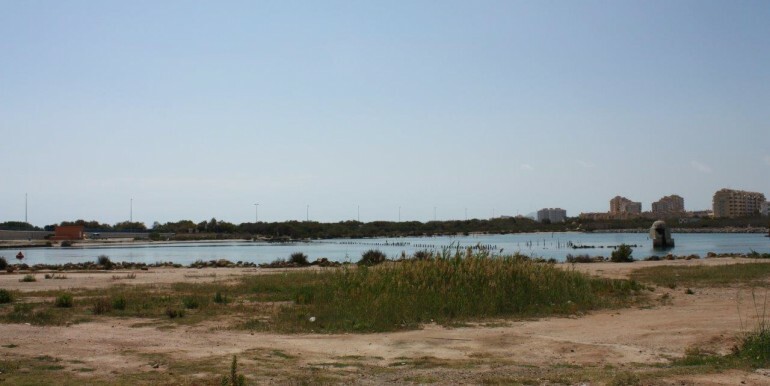 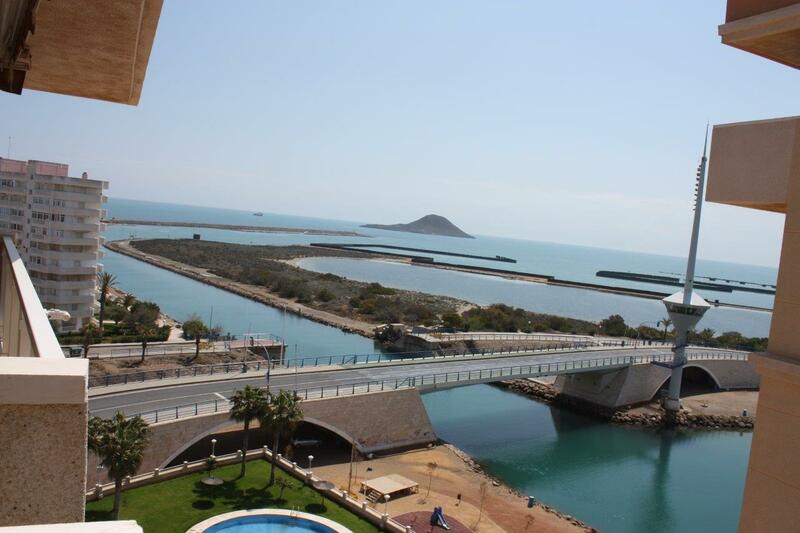 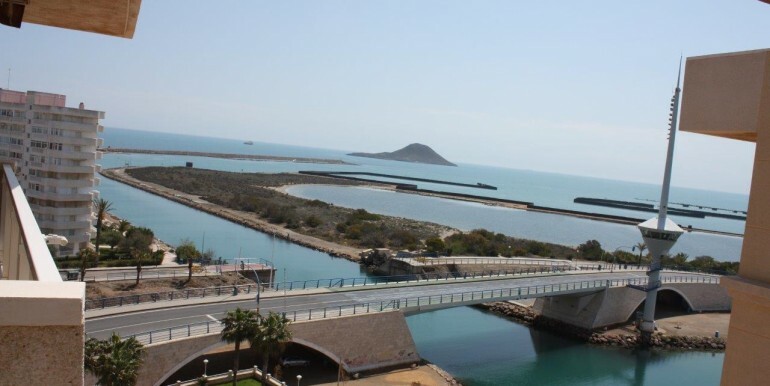 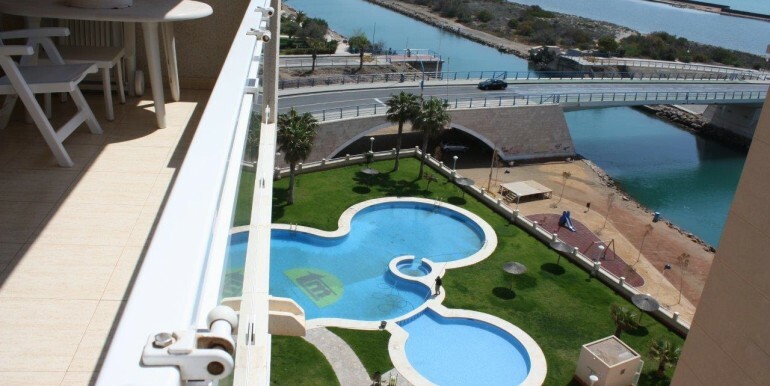 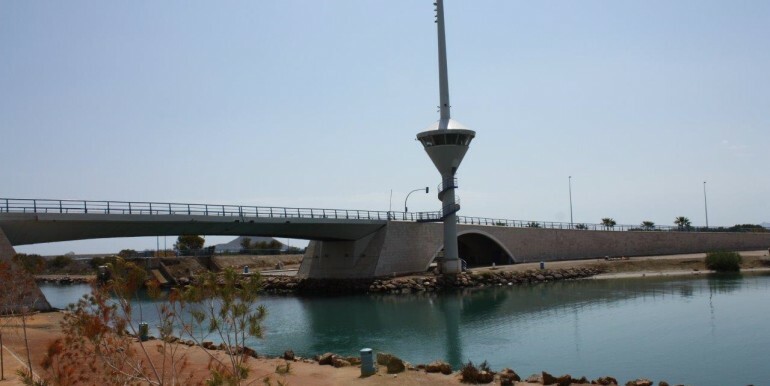 This lovely 8th floor apartment has got 1 bedroom with a double bed, 1 bathroom with bathtub, fully equipped american kitchen with dishwasher, a bright and spacious living room with sofa bed and a large terrace with views over the canal that joins the Mar Menor and the Mediterranean seas. 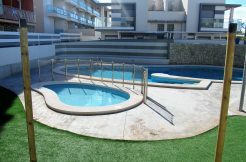 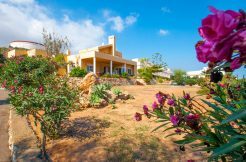 It has got FREE WIFI, air conditioning in both the bedroom & living room, its own private off street exterior parking space and a beautiful communal pool. 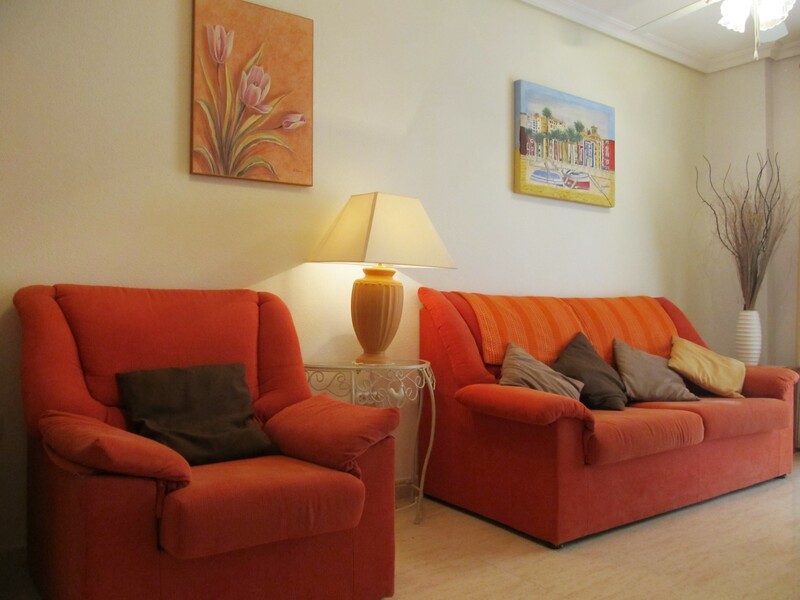 For extended dates please contact us for a quote.